Havas Worldwide Australia are an advertising agency, and part of the world's youngest and most vibrant global advertising network. 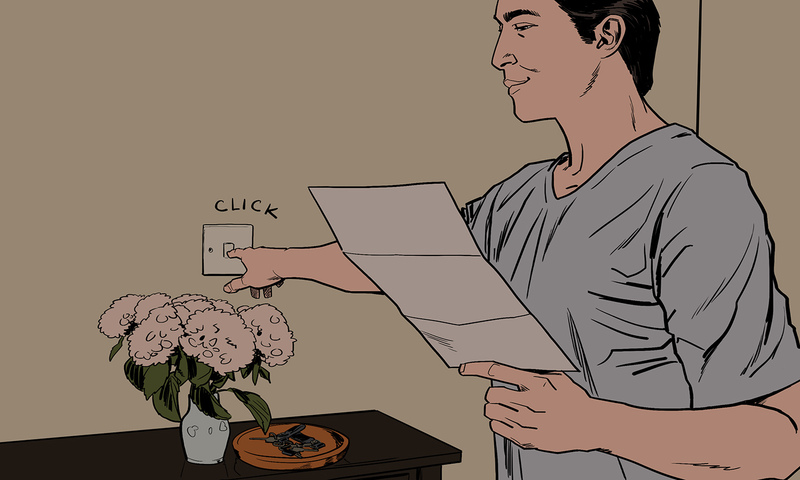 Havas Worldwide Australia got in touch with us to request a storyboard be created for a TVC pitch to promote switchandsave.gov.au - a NSW government website giving impartial comparison on energy plans. Havas Worldwide Australia had a prepared plan, voice over and frame by frame script ideas. 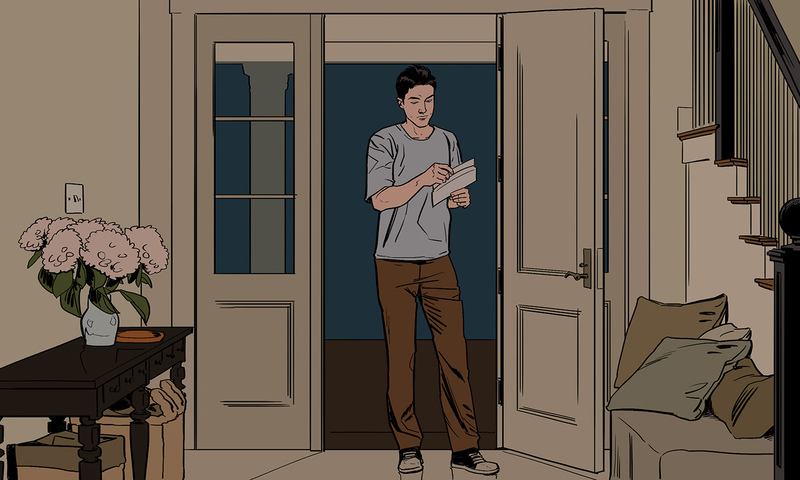 The first frame was to feature a wide shot of a man holding open the door to his home whilst tearing open a bill. He then turns on the light-switch above the hallway table. 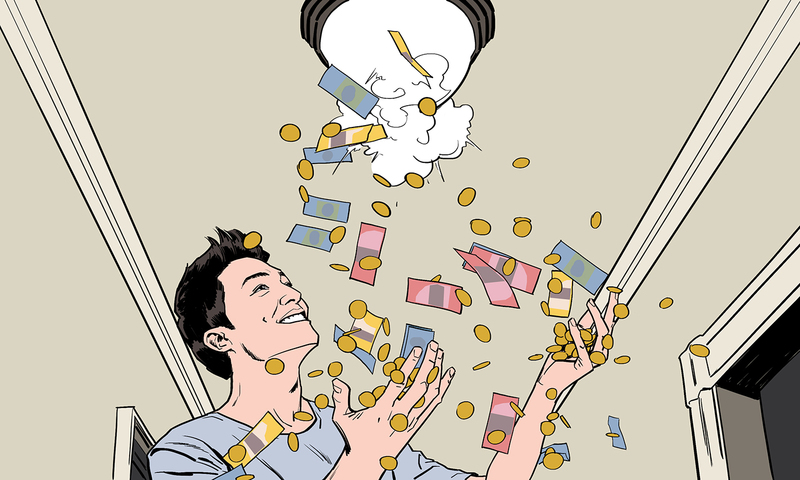 Money begins to pour out from the lights above his head, and the man grabs the money mid-air, smiling. A new scene reveals an over-the-shoulder shot, focusing on a computer with a generic website with “Switch And Save” on it. A woman is in the corner of an open plan room, switching on a standing fan. Next we see the woman stuffing her wallet with money that is blasting out of the fan and flying around the room. 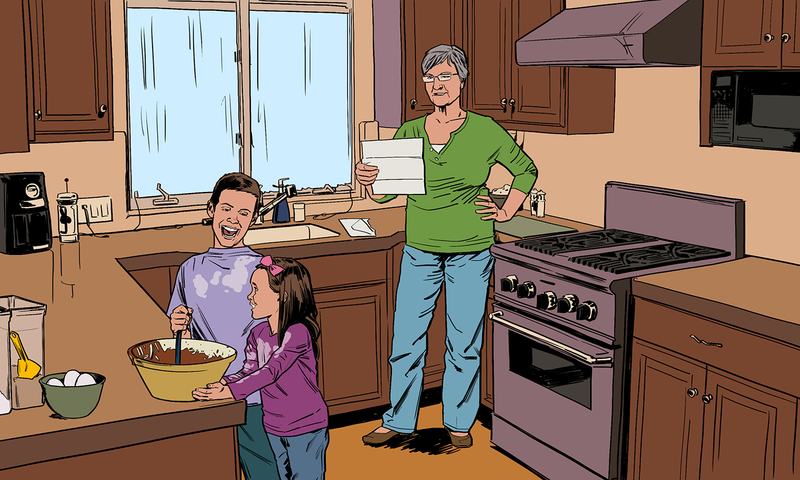 For the last section of this TVC, we see an older lady in her kitchen, reading a bill. 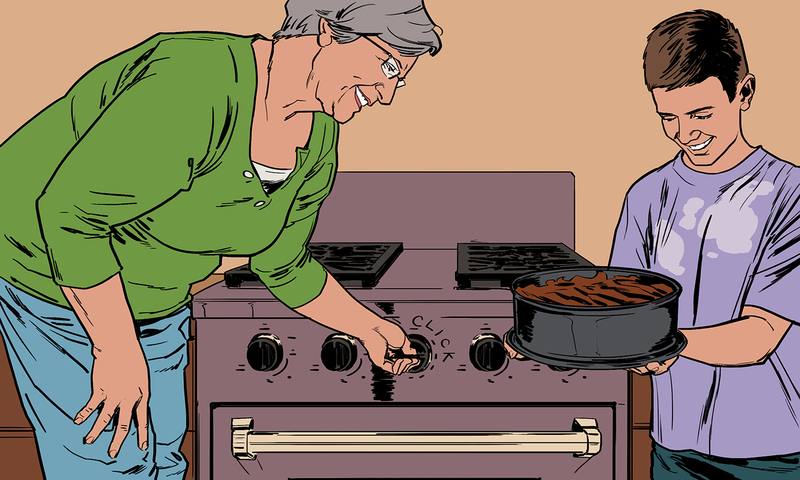 We see the old lady switching on her gas oven, and then we see money bursting out of the oven. The old lady stands beside it, fist pumping. 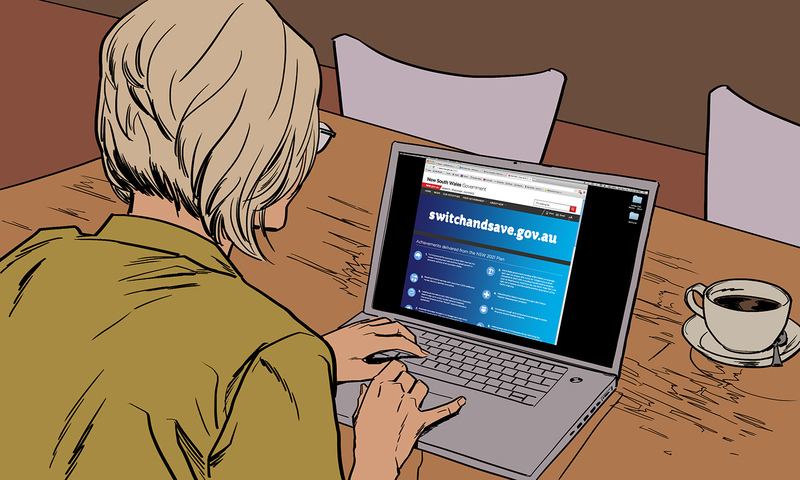 We finish the TVC by cutting to graphics of switchandsave.gov.au and the NSW Government logo. 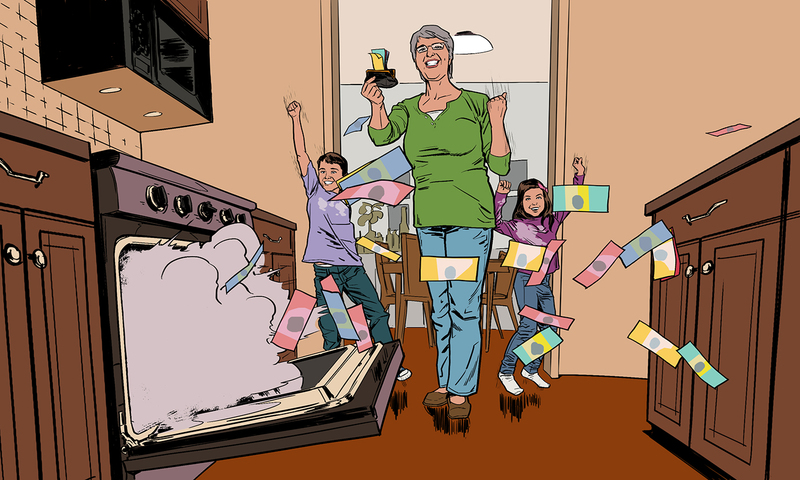 This TVC was a simple concept: different people ecstatic to be saving money on their household bills. It was important to show how happy everyone became when the money appears in shot - that ‘eureka’ moment when each person has realised they could be saving money.